Taking up a chunk of Downtown LA, the Fairfax District has one of the highest Jewish populations in California. Attractions in Fairfax include the Farmers Market, The Grove, CBS studios, and Fairfax Avenue and Melrose Avenue (featuring restaurants and shopping). Painted by muralist Art Mortimer in 1985, the street art takes up the whole wall of Canter’s Deli. The mural is designed in panels, each telling the story of Jewish people in LA beginning in 1841. Read more about how the mural was constructed and the history it depicts. Los Angeles is privileged enough to host two Holocaust remembrances museums, the Los Angeles Museum of the Holocaust and the Museum of Tolerance. In 1961, a group of Holocaust survivors learning English at Hollywood High formed a cohort to talk and support each other with their shared experiences. Over time they shared their photos, saved concentration camp uniforms, and other items from the era. Together they decided that these Holocaust reminders needed a shared home. The museum was established to remember those who were lost and to educate the next generation. The museum is free for all as they believe that everyone, no matter economic background, should remember the Holocaust. Learn more. This museum serves as an education center and a human rights center. Their goal is that all visitors understand the Holocaust both in a historic and contemporary view. The Museum of Tolerance has been open since 1993 and admission is $15.50 but they have a senior ($12.50) and student ($11.50) discount. For more information about the landmark. The National Council of Jewish Women (NCJW) is a grassroots organization with a mission to advocating for social justice and quality of life for women and families. The LA chapter created Council Thrift Shop in 1924 to raise awareness and donations; since then, seven more locations have sprouted across Los Angeles. Learn more about the national and local non-profit here. 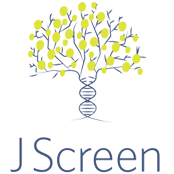 JScreen is a non-proft community-based public health initiative dedicated to preventing Jewish genetic diseases. Headquartered in Atlanta at Emory University School of Medicine, the JScreen initiative is a collaboration among clinical geneticists, socially minded businesses and nonprofits to provide everyday people with a ready access point to cutting-edge genetic testing technology, patient education and genetic counseling services.